In 1916, thirteen-year-old Marjorie Sterret wrote a letter to the editor of The New York Tribune and included her allowance of one dime to help Uncle Sam build a battleship that would be “prepared to lick all creation.” In 1917, The Tribune established the Marjorie Sterret Battleship Fund. 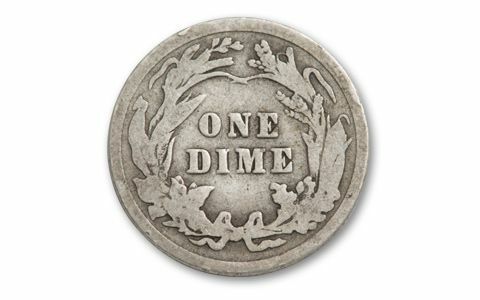 The Fund would go on to receive around 200,000 dimes, usually in the name of someone’s child or grandchild. The $20,000 raised was donated to the U.S. Navy – a sum that would be the equivalent of more than $325,000 today! The Marjorie Sterret Battleship Fund captivated the nation. 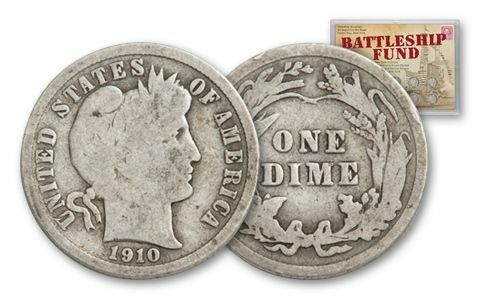 When former president Theodore Roosevelt learned of the fund, he immediately responded with a letter of his own along with his 10 dimes to be added to the fund – just like the 10 Barber Dimes in this collection! 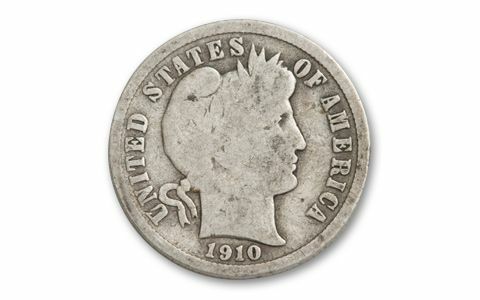 Now you can share that story with this 90% silver Barber Dime collection. Dates vary from 1892–1916. To this day, the legacy of Marjorie Sterret lives on in the Marjorie Sterret Battleship Fund Award presented each year to the most battle-ready ship in both Atlantic and Pacific Fleets. Now the patriotic spirit can live on in your collection as well. 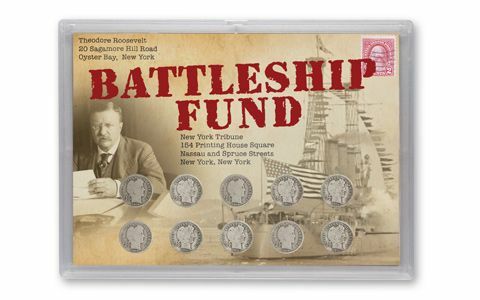 Add the 1892–1916 10 Cents “Battleship Fund” 10-Coin Set to your cart today!